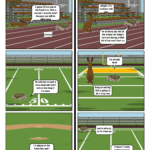 My remix of the Tortoise and the Hare show how there can be different endings of a moral story based on the decisions made. I used this story because it teaches the reader a moral and how are actions can affect outcomes majorly. The tortoise and the Hare can show how bragging won’t help you win but that sportsmanship is the way to go. Before beginning the project I made a script to help me know how the characters will talk and the dialogue for each ending. 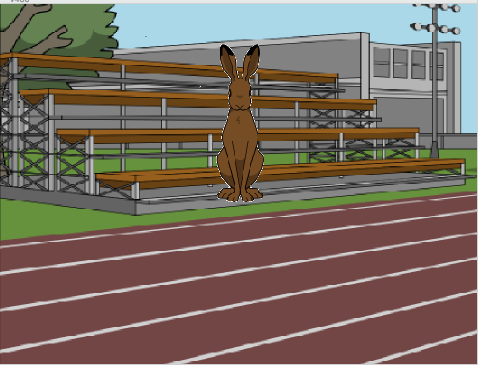 I used sites like storyboard that to create the base of my animation including simple text, characters, and backgrounds. In order to make my actual animation I used scratch to help make the building blocks of how the story would workout. I made the story interactive by making sure the person watching would choose the character’s destiny. 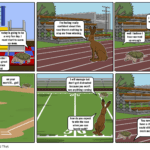 The Tortoise and the Hare Remixed by Lidia is licensed under a Creative Commons Attribution-ShareAlike 4.0 International License. Little Red Riding Hood--RemixedIs Twain the Father of Modern Satire?